Brian has spent his career in entrepreneurial cloud software ventures – working for IBM twice and a series of acquired startups. He is currently the Chief Operating Officer and founding member of DynamicAction where he leads Engineering, Product Management, Product Strategy, Operations and Client Success. DynamicAction is a big data, cloud analytics software company that services retailers and brands. It was awarded the 2017 NRF/Shop.org Digital Startup of the Year and is backed by leading VCs, Accenture and WPP. In addition to DynamicAction, Brian serves in an advisory capacity for portfolio companies within the West Coast Capital family. Brian began his career in startup ecommerce at Garden.com. Upon graduating from college, Brian left to join IBM Global Services where he had a chance to help build a data mining and web analytics startup within Big Blue. After a successful run and in search of true startup incubation, Brian influenced IBM to divest the business to Coremetrics, a Silicon Valley web analytics startup. At Coremetrics, Brian ran product and dramatically expanded the offering suite which ironically led to IBM reacquiring the business and a great shareholder outcome. 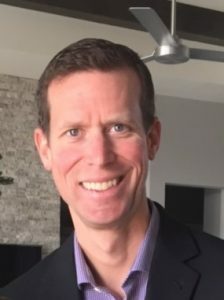 In his second stint at IBM, Brian led M&A due diligence on multiple acquisitions and was chartered with bringing together multiple software portfolios as part of IBM’s Smarter Commerce initiative. Brian then left IBM to become the VP of Product at eCommera, a London based software company and systems integrator for Demandware, which was later sold to Dentsu Isobar. Brian holds an MBA with honors from SMU and a BBA with honors from The University of Texas at Austin.